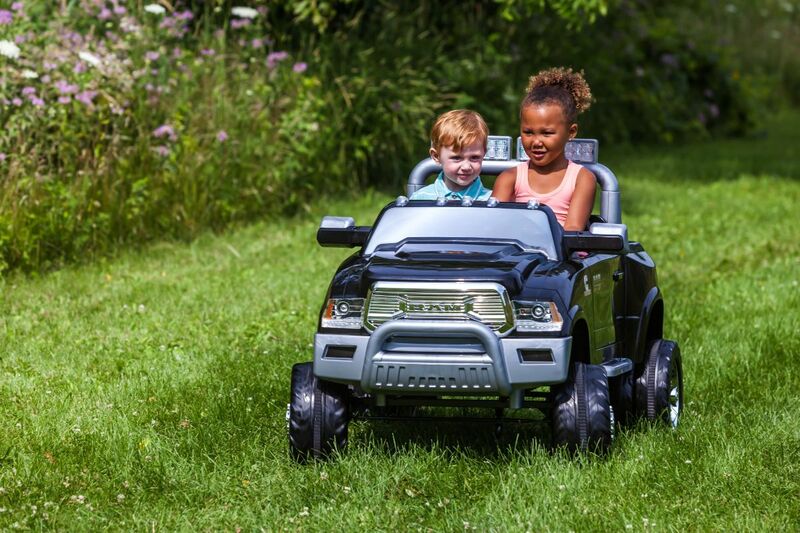 Built for kids with a taste for outdoor adventure, 12-Volt Diesel Dually Ram 3500 Ride-On from Kid Trax is a ruggedly awesome truck that offers hours of driveway fun. 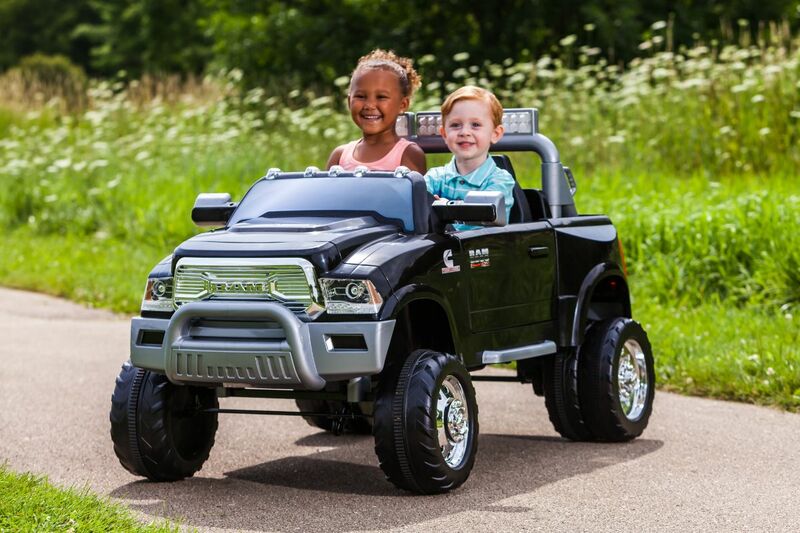 Filled with realistic details like a manual dump bed and tailgate that really opens and closes, your little one will have a blast hauling cargo and tooling around the driveway, whether solo or with a buddy. The Dually even has a realistic turbo diesel engine sound effect that sounds like the real thing! 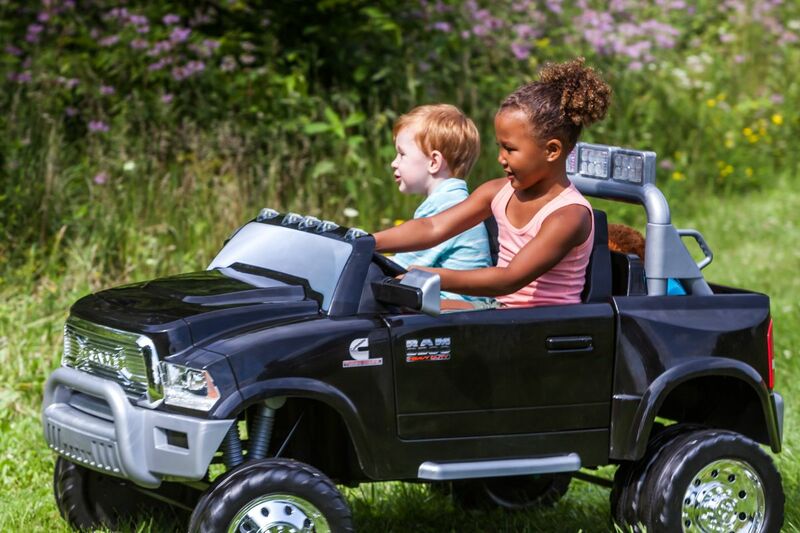 Lighted rear roll bar is sure to brighten up playtime, while real opening doors and foot pedal acceleration add to the lifelike driving experience. This battery-powered ride-on goes forward and reverse at 2.5 MPH, but there's also a 5 MPH driving option for adventurous drivers. Thanks to the included 12-volt rechargeable battery and wall charger, simply plug it in using the Direct Connect Charging System when it's time to refuel. For riders 3-7 with a maximum total weight limit of 130 lbs.